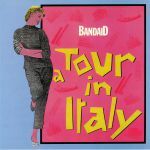 Review: Not to be mistaken for the charity pop behemoth, this Band Aid were a band from Bologna that released a handful of albums and singles in the early 80s. Best Italy have dug out this loose and limber slice of sunny funk and given it a spruce up with a little help from Early Sounds crew member Pellegrino, whose "Mediterranean Version" of "A Tour In Italy" adorns the A side. It's all peppy brass, dreamy guitars and a kooky vocal line about the titular tour, guaranteed to break out some smiles on the dancefloor. On the B side you can indulge in Tony Carrasco's original vocal and dub versions, all of which equally exude summery vibes to keep you warm through the winter months. 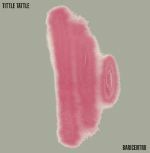 Review: The Best Records reissue campaign continues unabated as the Italian label turns to Bariocentro. While the band may have had most of their time in the spotlight in the late 70s, they bowed out with a veritable bomb in the shape of Tittle Tattle, a tightly-wound, punchy slice of uptempo 80s boogie like they just can't make any more. Feel the reverb on the handclaps, the slick guitar chops and Moog-tastic bassline and just try not getting down. This plush reissue comes packed with the radio edit, the full length version, the instrumental and everyone's favourite slice of 80s B side action, the dub mix. Review: Best may be best known for jazz and disco reissues, but they're also dab hands at unearthing forgotten gems from the annals of Italian deep house too. The Countach were last seen in active service back in 1990, dropping just two singles but making sure they were bona fide classics. 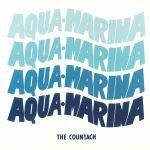 "Aqua Marina" has plenty of lashings of jazz funk rubbed into its loins, not least on the "Sweet Dream Version". The "Paradise Version" nudges the key of the club mixes and ramps up the reverb, and then the "Original Studio Version" switches up the mood with an organic, live band groove on this crucial 12". Review: Here's another highly desirable slice of formative party fuel from the dusty highways and byways of dance music culture, brought to you by the diligent miners at Best Records. The Gong's Gang was a one-off alias for the equally one-off Nicolosi Family, a collective of real-life brothers and sisters who knew a thing or two about classic early 80s Italo boogie. "Gimme Your Love" is a stellar jam, with Rosanna Nicolosi out front on vocals and the cascading synths and bass stewing in an intoxicating blend that should have any funk detective frothing with approval. Whether you want the full vocal hit or the subtly dubbed out instrumental, this is a jam thoroughly deserving of a second run in the sun. Review: Claudio Casalini's Best Record label does a fine job of reissuing funk, disco and other curios from the mists of time, and so it goes with this wonderful slice of loose and live soul jazz. Grupo Almendra hailed from Venezuela, and they released their sole album Almendra in 1978 in a whirlwind of Latin American musicality and it had been consigned to relative obscurity. Whichever digger was lucky enough to discover this gem must have been very pleased indeed, for the quality of the music and the production is nothing short of remarkable, while the remastering has respectfully revived the sweet, soulful sound of Grupo Almendra. 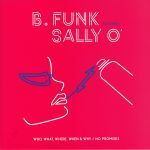 Review: REPRESS ALERT: Once more scouring the annals of disco history for the hottest jams, Best look beyond Italy and snap up this much-vaunted slice of American funk from 1982. While second hand prices can get out of control, it's not hard to hear why this glittering prize from Jagg would be so coveted - it's got everything. Jazz-leaning slap bass, mean synthesizer chops and soaring vocals - "Take Time" is prime to set the party off, and no longer is it the preserve of wealthy collectors. Originally a single-sided affair, Best have done the right thing and filled the B-side up with an extended version to let that groove roll on even longer. Review: Steve Kahn & Co. are yet another of those curios of the early 80s that Best Italy have dug out, dusted down, spruced up and repressed for your eclectic party pleasure. "Got To Have Your Loving" is a pure feel good jam at every turn - it's got a very natural, live band sound mixed by the legendary Tee Scott that especially makes the aqueous bass playing shine through. Whether you plump for the vocal or the instrumental, this is the kind of record that could set a wedding party on fire as much as a serious heads-down disco funk session. You'll no doubt get a lot of mileage out of this one, and have a great time in the process. Review: Best Records fire up a surefire classic from the annals of Italian dance music, crafted courtesy of Italo-disco heavyweight Klein & MBO. "The MBO Theme" was originally a hit in the nascent Chicago house scene, spun by the likes of Ron Hardy thanks to its punchy synth bass and hooky Euro-vocals. This sought-after dancefloor gem has been given a faithful remastering touch, as is the Best Records way, and they've also dug out a previously unheard edit of the track named as the "Italian Version," which stretches out the club qualities of the jam for maximum party impact. Review: Official re-mastered limited edition reissue of the mega-rare Blow Up records release of the Italo masterpiece Pink Footpath by Loui$. Originally released in 1985, this gem has become one of the most highly sought after Italo Disco tracks around. On the A side is Magic Dance which is good, but it's the instrumental version of the track Pink Footpath that really gets the disco DJs drooling. With its killer analogue bassline, dreamy soft synths and balearic guitar riffs, it's easy to see why it became such an anthem at the early Ibiza parties as well as a late night favourite in Chicago and New York. Review: From the team responsible for Kano and the evergreen Italo hit "I'm Ready," Matakena was a one-off release back in 1983 that has since gone on to attain true cult status (i.e. monstrous second hand prices). 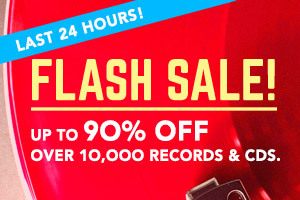 Thankfully, the trusted bastion of reissued Italian grooves Best Records is on hand to bring the music back to the people, digging the irrepressible funk of "Nuts On Me" and "Aphrodisiac" out of the vaults and pressing it up for a new generation to get down to. This is sleazy boogie par excellence, full of liquid synth bass, steamy vocals and grooves to die for. Review: Best Records get busy with this absolutely classic slice of early Italian disco from 1981, put together in the one-off-studio-project stylee by Al Festa, Claudio Giusti and Francesco Puccioni. The full vocal mix on the A side nearly hits the nine minute mark, and it's all gold from the chirpy horn section to the scintillating vocal turn by Sharon Russell. The influence from the Nile Rodgers school of funk is plain to hear, not least on the instrumental take on the B side, but also watch out for the gorgeous soliloquy of the "Manhattan's Piano Reprise" which is snuck on as an added extra from the archives. Review: Best Records' own luminary Claudio Casalini was at the helm for this one-shot studio project that captures Italo disco at its most exuberant and organic. 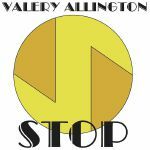 Originally released in 1984, the bassline on "Stop Your Lies" is a quintessential slice of synthetic throb from a golden era, but the electronic elements are wonderfully offset by rich instrumentation and a brilliantly camp vocal performance from the unnamed boy-girl combo. The vocal mix on the A side is strong enough for a single-sided cut, but the instrumental on the flip widens out the reach of the record and really lets Casalini's superb production shine through. Review: The latest dig from Best Record Italy's eternal mission to release the finest Roman musical manna features noted jazz man Pino Presti taking on Manu Dibango's eternal party jam "Soul Makossa". Presti's interpretation uses oodles of gleaming 80s synths in place of the original traditional instrumentation, but fear not as the iconic brass section remains a real-world force, and sounds mighty fresh with it. Following up that cover is a sumptuous version of "Ain't No Sunshine" which is aimed square at the heartstrings of the most Balearic cruisers. "I Call Your Name / Come Back To Me" gets even smoother, the vocals capturing Mediterranean getaway romance to perfection. Review: Best Records previously mined Pino Presti's illustrious back catalogue for the To Africa / Soul Makossa, You Know The Way and Funky Bump 12"s, and they're back with the Italian arranger's finest disco delicacies straight outta 1977. "You Know Why" is a swooning, romantic groover featuring the sultry vocals of Roxy Robinson. "Nice & Easy / Hungry For Love" is a bold, dramatic cut with striking brass stabs and a slinky bassline that wraps itself around Robinson's classic vocal. "Come On" is a deeper, Philly string laden affair of the heart, rounding out this most passionate of disco 12"s.
Review: In a rare exception from their usual hyper-obscure archive finds, Best Record have opted this time to give a proper reissue to a diggers favourite which enjoyed a second turn in the spotlight via a Dimitri From Paris compilation on BBE. Radiance and Andrea Stone's "You're My Number 1" is everything a boogie jam should be, from the liquid funk of the bassline to the snap of the drums - we defy anyone to stay off the floor when this pearl drops. It's no surprise to know it was mixed by the legendary M&M Productions team, featuring disco mix champion John Morales. The original is ace, but the extended dub mix on the flip is the one that will have the heads freaking out. Review: Best Records get right to the heart of true Italo disco with this body-poppin' killer from 1983. REM were made up of Paolo Alfani and Nicola Serena, both based in Florence and well ahead of the curve with their experimental electronic disco sound. Making fantastic use of the Mattel Speak & Spell for their vocal hooks, this enterprising duo cooked up a veritable club bomb with their fusion of sleek drum machine rhythms, throbbing acid basslines and romantic synth tones that would come to be widely used in Detroit techno some years later. There's a full original take of the track on the A side, while the flip features a tweaked "remix" version to give you even more of that robo-vocoder action. Review: Having reissued Body, Body Love last year, Best Records come back for more of Billy Woost's late 70s grooves, all lifted from his sole self-titled album and presented here in their true 'Disco Version' format. This time around it's "Vibrations" that takes centre stage, and it sounds resplendent in its widescreen vision of disco funk production at its highest possible standard. On the flip "Baobab" sounds even more potent with its killer bassline groove, dream-pop vocal trills and all round feel-good mood. Now if Best can just do the same job with the rest of the album we'll be laughing.